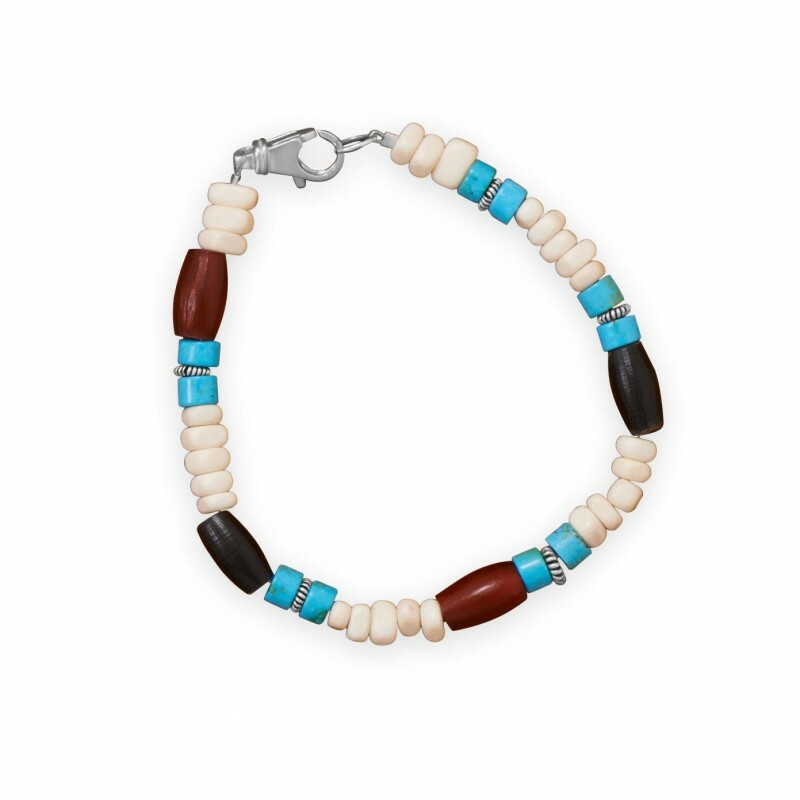 8.75" men's bracelet with reconstituted turquoise, bone and horn beads. The turquoise heshi beads are approximately 4mm x 5.5mm. The bone beads are approximately 2mm x 5mm. The red and black horn beads are approximately 6mm x 13mm. The lobster clasp closure is sterling silver.